A spherical rocking toy for indoors and outdoors. 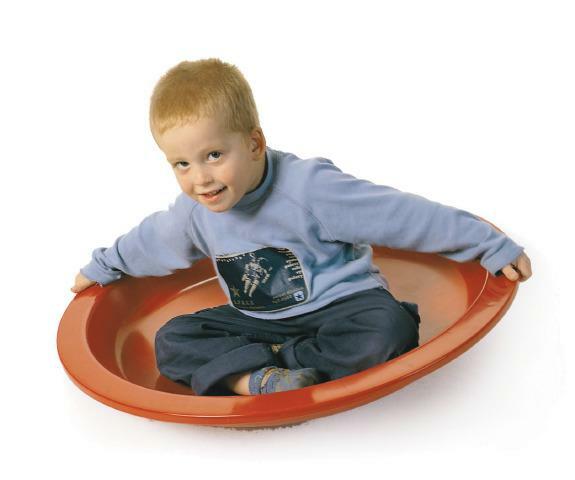 Children can sit in it and rock it from side to side, or spin around. There is even room for two smaller children to sit in it together. Users can hold on to the rim without getting their hands jammed between the rim and the floor. Develops physical coordination skills. Weight limit; 165 lb. THIS ITEM WILL DROP SHIP FROM THE MANUFACTURER AND TAKE 1-2 WEEKS FOR DELIVERY. Dimensions: H: 6" x 30" Dia. Very shallow. Expected more rocking ability. I returned the product. My neice and son love this great entertainment for both of them . Just disappointed in size thought it was bigger but goiod value for money paid .